High quality from every point of view. If you’re like most homeowners, you use your kitchen more than any other room. That’s why component quality, assembly, and durability really matter when you choose a cabinetry manufacturer. Durability assured. Cabico’s artisan cabinetmakers know wood and its nature like nobody else. Our tried and tested assembly processes, our controlled production environment, and our recognized know-how ensure your total peace of mind. Sturdy finishes, resistance to discoloration, and traditional dovetail drawer construction all contribute to our cabinets’ legendary durability. The artisans’ dedication as your seal of quality. Our design and manufacturing methods let us tap into the full potential and expertise of our artisans. Unlike many cabinets manufacturers with their assembly-line approaches, our method is to treat every project as unique. That way, our cabinetmakers can devote themselves completely to one project—your project—and put their heart and soul into it. Top-quality components. Cabico uses only grade A select engineered particleboard and plywood. All our stains and solid paints are of the finest quality, as are all of our optional accessories. Flawless quality control. Selecting, measuring, sawing, re-measuring, sanding, re-sanding, painting, retouching, checking, and carefully packaging—this is our stock in trade. And behind these meticulous actions, Cabico applies strict quality control procedures that call on each artisan to test and validate the work of the next. This results in a dramatic reduction in the chance of installation errors, yielding quality throughout the production process, from ordering to delivery. Windrush Hill is a recognized leader in the homebuilder industry, specializing in additions, renovations, exterior facelifts and custom homes, serving Ontario’s Niagara Region. 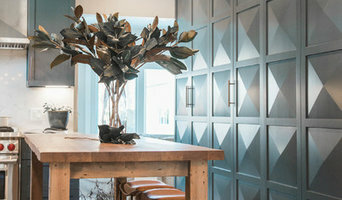 Windrush Hill has built a reputation for spectacular renovations that transform traditional, dated houses into bright, open concept homes with refreshed exterior facades. Since 1996, they have been collaborating with homeowners to build individually tailored homes that reflect their design dreams, lifestyle needs and family values. Led by founder and president Tony Alfieri, the skillful team of project managers, tradespeople and carefully curated suppliers all share a dedication to exceptional workmanship. They pride themselves on delivering superb quality, creative excellence, functional solutions and the highest level of customer satisfaction. Tony and the Windrush Hill team work on a limited number of projects each year in order to maintain a close working relationship with every client, and provide the highest level of personalized service. Windrush Hill has been recognized with multiple awards of excellence by the Canadian, Ontario and Niagara Home Builders’ Associations for a wide range of projects (see below for details). Bryce & Doyle is full service custom interior design and remodeling firm, specializing in kitchens and baths with over 30 years experience. We are also dealers of BlueStar, Wolf, and Sub-Zero appliances. Come visit our state of the art luxury kitchen and bathroom showroom in the High Falls area. Our exceptional craftsmanship is widely regarded in the Rochester and Western New York areas as second to none. Reach out to multiple professionals — especially for larger projects — and don't settle for the first quote you receive. 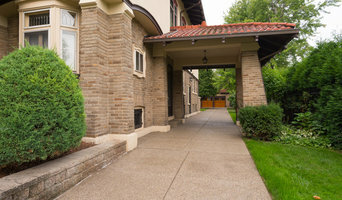 Comparing multiple South Wales, NY professionals' quotes and experiences can help you find the one that’s best for you. Ask a lot of questions now, so you won't have unexpected answers later. Find a home design professional on Houzz. Narrow down your search by type of professional and location. 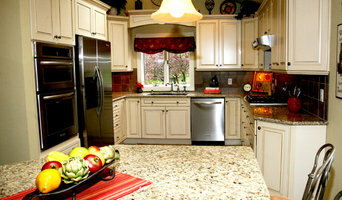 Browse South Wales, NY portfolio photos, read client reviews and contact each home improvement professional for more information. Check out the information in the specialised professional sections too for tips on how to hire the right professional for your project.